Crystal Bridges’ New Space for Contemporary Art, named the Momentary! In March 2016, WKA was selected for the Crystal Bridges’ New Space for Contemporary Art, newly named the Momentary. 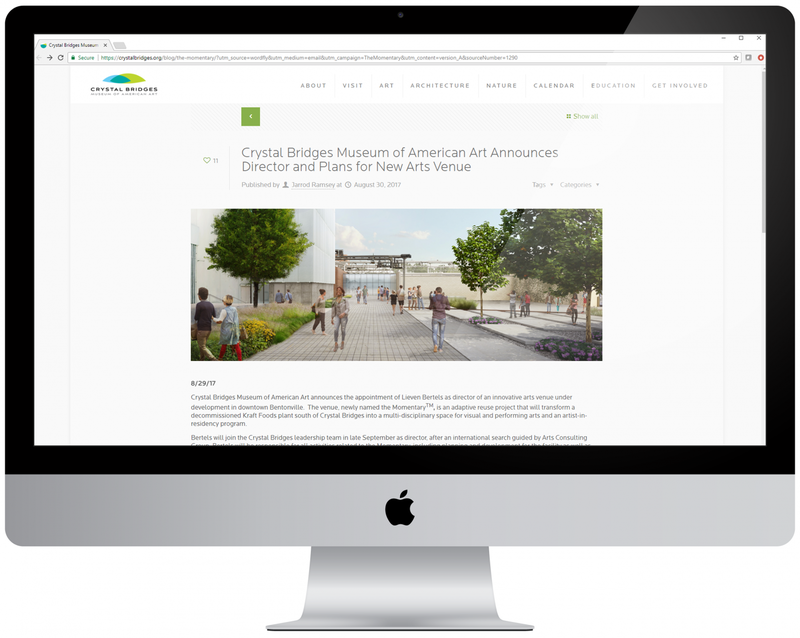 The project involves the adaptive reuse of a decommissioned Kraft Foods plant, located approximately 1.5 miles south of Crystal Bridges Museum of American Art in Bentonville, Arkansas. We’re thrilled to share progress for the innovative arts venue, which is currently in the design development phase. New exterior building renderings are available here!